This series of Shark's ultra light upright vacuums is based on their DuoClean Technology. Main cleaning head combines two different brushrolls spinning together, in unison. Soft brush is ahead of the stiff bristle brush and combined with good suction, they enable so called Triple Particle Cleaning the cleaning of large, small and stuck on particles from floors and carpets at the same time, improving the cleaning and shortening required cleaning time. Due to the design of the spinning brushrolls, pet and human hair and other similar dirt can get entangled and prevent DuoClean cleaning head from operating properly. The Shark HV380 Vacuum was added to the Vacuums category in November 2017. 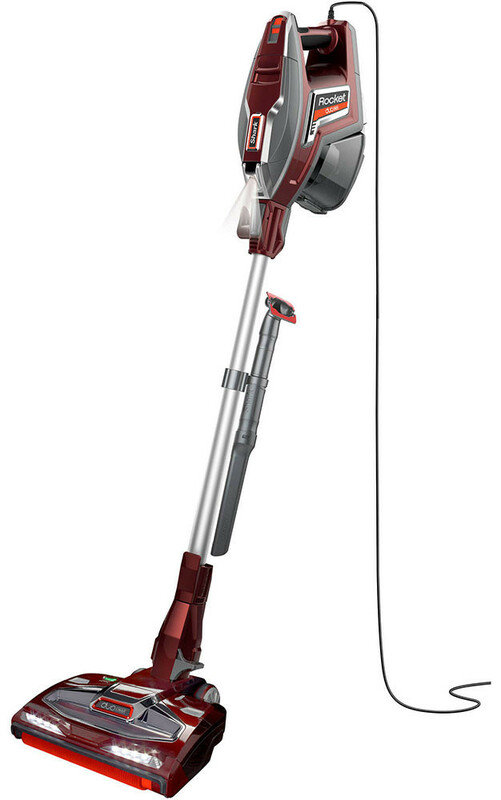 The lowest price GetPrice has found for the Shark HV380 Vacuum in Australia is $329.00 from Bing Lee. Other merchants who stock it are Bing Lee, Appliances Online.